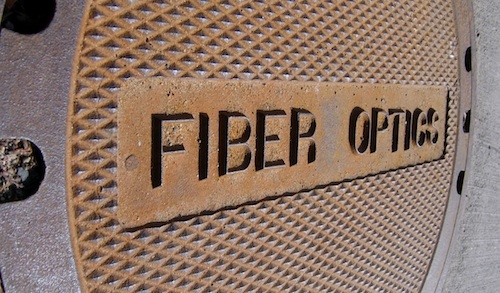 FibreCo, the joint venture between Cell C, Convergence Partners and Internet Solutions, has awarded the contract for the construction of its national open-access fibre optic network to China’s ZTE. The company plans to build a 12 000km national fibre-optic network, linking the country’s towns and cities, at a cost of R5bn. The network will compete with fibre networks operated by incumbent fixed-line operator Telkom and state-owned Broadband Infraco. FibreCo says the first phase of the investment will result in 2 300 direct and indirect job opportunities. FibreCo will also facilitate the training of at least 100 fibre-optic technicians, to be certified under the internationally recognised Fibre Optic Association. Phase one of the network involves linking Johannesburg, Cape Town and Durban and the submarine cable systems on the eastern and western coastlines of the country. Work on the initial leg of phase one, a 1 900km link between Johannesburg and Cape Town via the Free State and Eastern Cape, is already underway. The cost of this leg is estimated at about R1bn. FibreCo has also signed capacity purchase agreements with its first three clients for the Johannesburg-Cape Town route. They are BT (formerly British Telecom) and FibreCo shareholders Cell C and Internet Solutions. “On the strength of these contracts, coupled with the financial backing of our shareholders, we have secured the necessary funding,” says FibreCo CEO Arif Hussain.